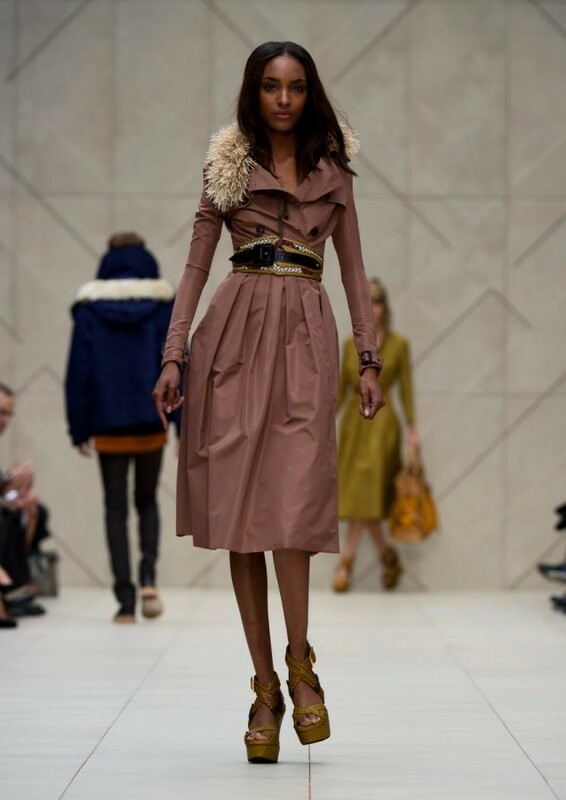 Over the last six seasons, Creative Director Christopher Bailey has buried heritage British brand Burberry in the fertile soil of luxury consumer culture, rescuing it from a street reputation unfitting of its history nor its genetics of fine craftsmanship and style. Now easily one of the biggest draws to London Fashion Week, the front row of their latest collection was a veritable smörgåsbord of youth, glamour and power as the world's elite came from far and wide to see more of Burberry, Christopher and their rapid, indomitable rise. From the fore-runner position the brand have taken in approach to new marketing and outreach technologies you'd be forgiven for assuming this collection would be a venture into perhaps laser cutting as seen with Giles or perhaps some form of the 3D textures explored by Masha Ma. This though proved not to be the case with Bailey and his team instead treating the catwalk as a personal exploration of the world's font of ethnicities, seeming to more than a few to draw on London's multicultural excellence. Dark, brooding tones of navy and emperor purple formed the basis of a recurring abstract colour block of a pattern tapping into Bailey's love of the work of artist Henry Moore. Of course, the eponymous trench appeared, bedecked in this print as well as a startling, vivid turquoise and timid cream. Patterns, though not exclusive to Burberry in any form this season, took a some-what surprising focus in the show; stripes upon knee skimming skirts, neon cross hatching on overcoats and even as the most delicate trims. One can forgive Bailey for echoing the busyness of the house upon its catwalk, especially when it looks this good.